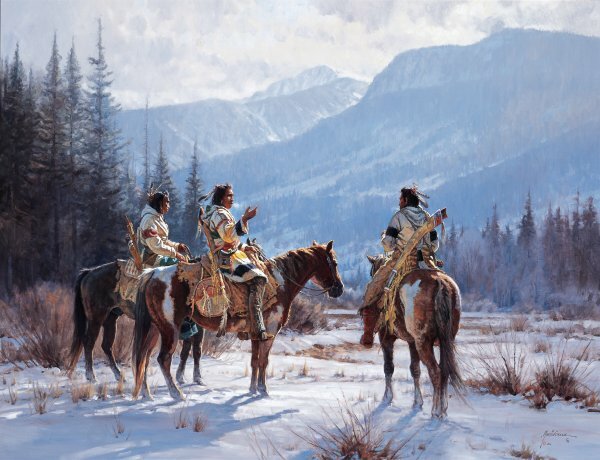 "Stories of Winter" is vintage Martin Grelle. The brilliant colors of the Native Americans and their horses contrast beautifully with the soft blues of the snow and mountains. The air is crisp, the snow is crunchy and the riders pause in the winter sunlight to exchange stories of the season.